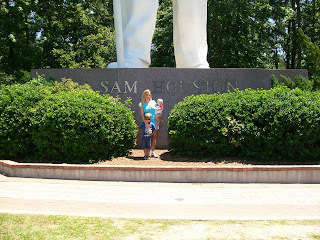 We visited Big Sam this week. Randy and I have been a few times but we have never taken Dawson and Brady. 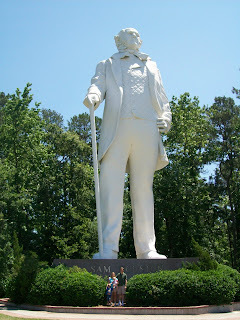 Dawson frequently waves at the statue as we leave or return to town so he was excited to go see him up close. It really is a huge statue. It's 67 feet high and weighs 60 tons!!! 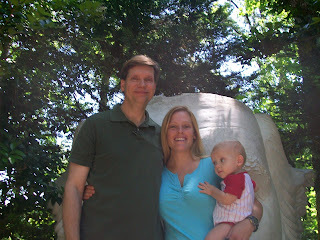 Our family looking very small in front of the statue. The boys and I standing in front of the statue. 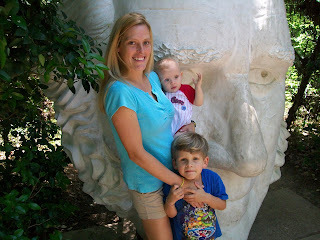 Standing in front of a big replica of Sam Houston's face. Dawson took this picture of us. 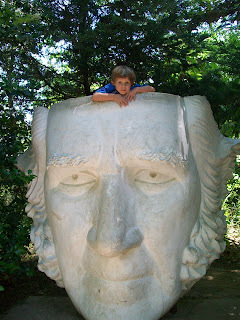 Dawson behind the big face. 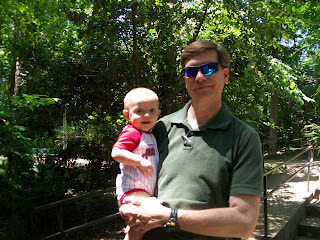 Randy and Brady along the trail that leads to the statue. 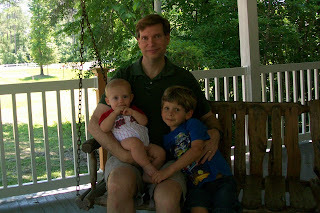 Randy and the boys sitting on the porch swing outside the visitor's center. Fun! MY favorite is Dawson on the big face!